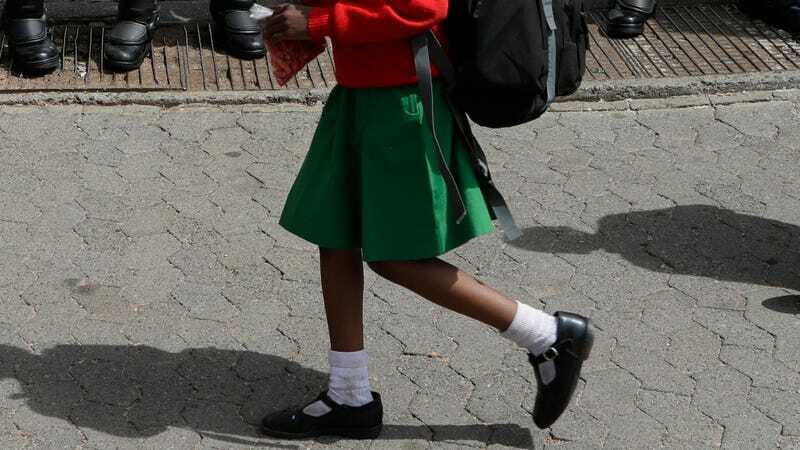 As if we needed more reason to ban school uniforms, a study from the UK found that girls felt like wearing their uniforms to and from school brought them unwanted attention and touching from men. The UK branch of Plan International, an international organization that advocates for children’s rights and gender equality, published a report on street harassment Monday that delves into the experiences of young girls. The report is based on responses from 1,004 girls in the UK, ages 14 to 21. It finds that 35 percent of girls “received unwanted sexual attention such as being groped, stared at, catcalled and wolf-whistled” while wearing their school uniform in public.